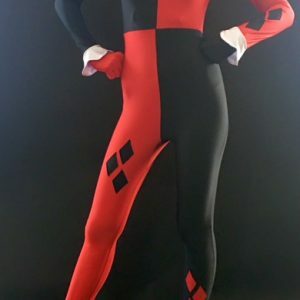 Everything you need to build a Harley Quinn Costume! 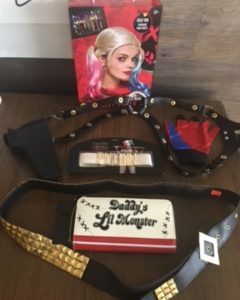 Pictured is just one of the many Harley combinations we offer. 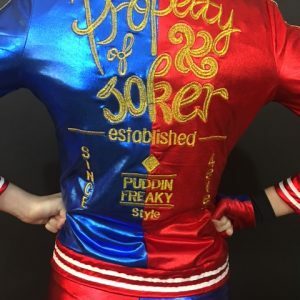 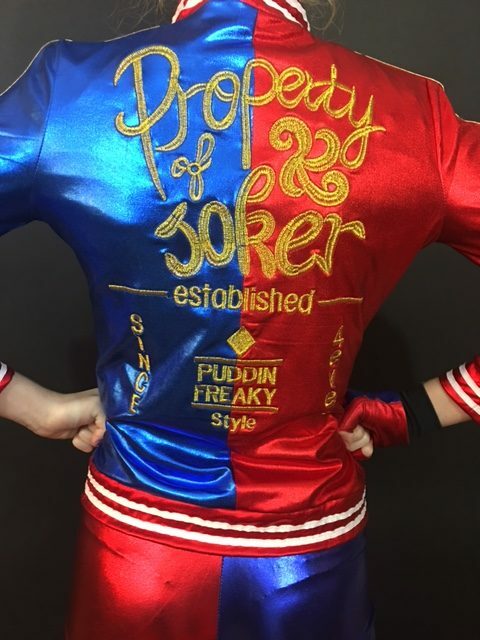 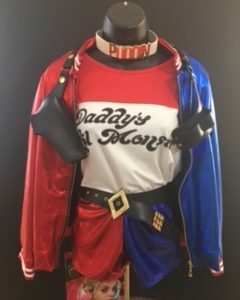 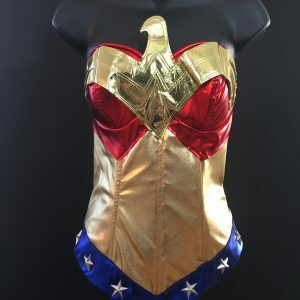 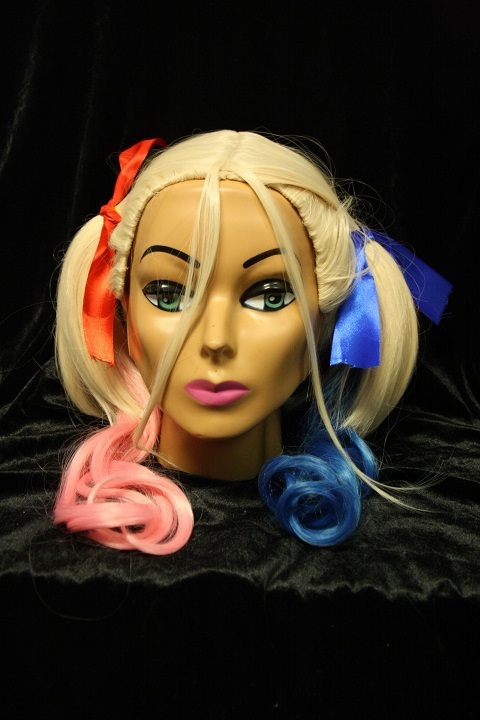 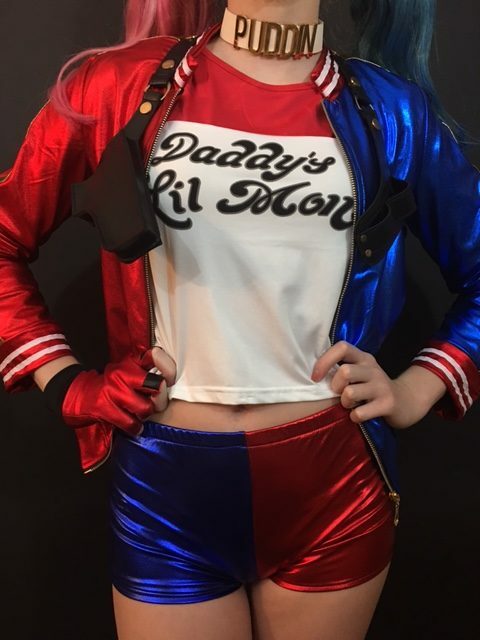 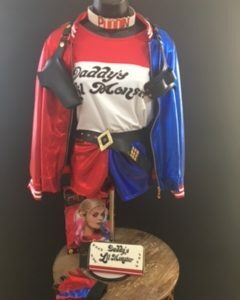 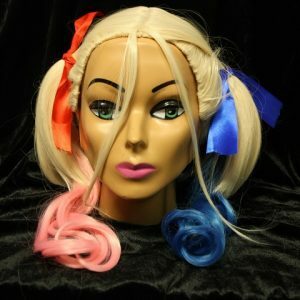 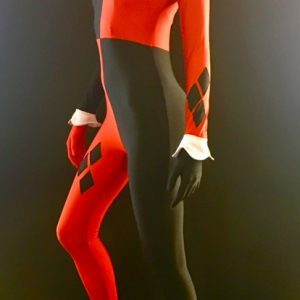 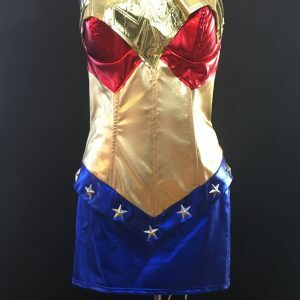 Our Harley Quinn department has lots of unique items to create the many versions of Harley or your very own new look. 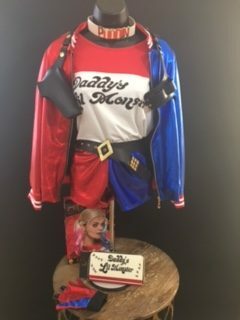 Jacket-$39.99-$49.99, Shirt $29.99, wig $34.99-$49.99, shorts $24.99, Puddin choker $24.99, other accessories range from $14.99-$29.99. 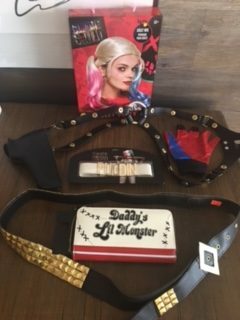 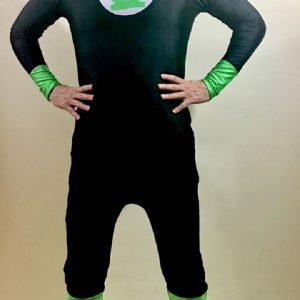 Call for sizing and availability of items.